Town with 6,934 inhabitants north of the Keszthely Mountains. Sümeg and its vicinity was a populated area from ancient times. Bronze age tombs, axes, other tools, funeral urns and the traces of a village from the late Bronze age attest this fact. At the end of the 19th century ruins of a military camp, Roman houses and the ruins of a three-bay church were found. 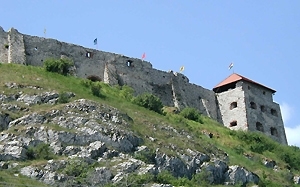 The castle built in the middle of the 13th century served as an episcopal seat for 200 years. 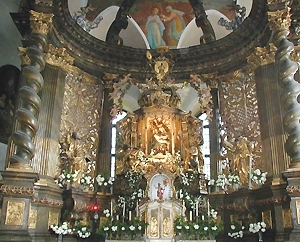 The Baroque Episcopal Palace was built by Bishop Márton Padányi-Bíró from 1748 to 1755. 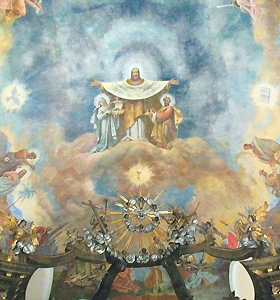 Other Baroque monuments include the Franciscan church and monastery (1653) and the Roman Catholic parish church (1757) with the famous frescos painted by F. A. Maulbertsch. The Cemetery chapel is a late Baroque building (1816). Both the Court-judge's house (Udvarbíró-ház) of the 17th century and the Hertelendy manor of the 18th century are Baroque buildings. Kisfaludy Sándor's native house now accommodates a Memorial Museum, the tombs of the poet and his wife, Róza Szegedy, are in the local cemetery. Exceptional impressions are given by the exhibition of saddle- and horse-furniture history. 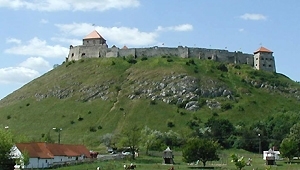 Nature conservation areas in the vicinity include the Castle Hill and Mogyorós Hill. Horse-riding, cycling, fishing, hunting and walks are all offered to enjoy the beautiful countryside around Sümeg. Accommodation is available to meet all demands, including pensions, the comfortable Kapitány Hotel in a beautiful location, a camping-site with bungalows. If you want to take souvenirs from here, we can offer the local specialities: red and white wines from the surrounding hills, honey produced by local farmers, or ceramics with traditional decorations of the past centuries.